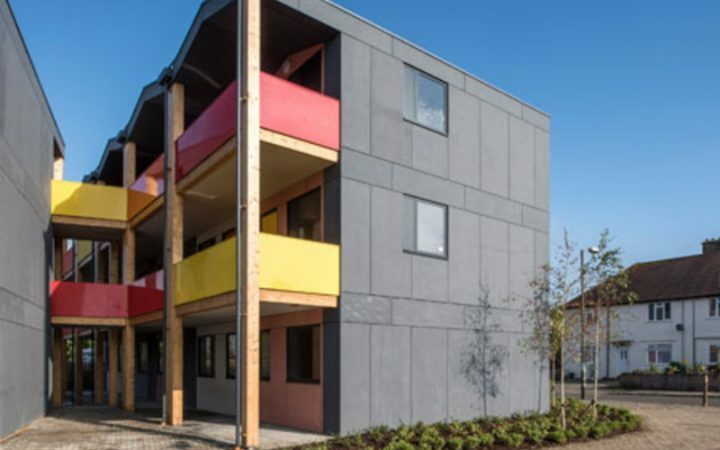 Affordable move-on housing in Mitcham for 36 residents. 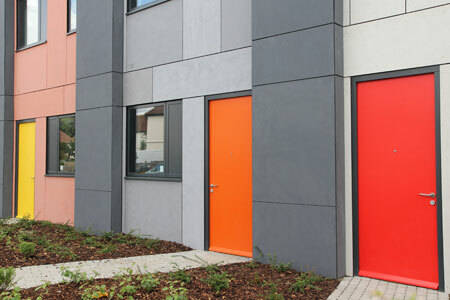 Y:Cube Mitcham is an affordable housing scheme which provides self-contained flats for 36 people in housing need. It’s situated at the corner of Clay Avenue and Woodstock Way in Mitcham, in the London borough of Merton. Half of the residents have moved on from YMCA St Paul’s Group’s hostel accommodation, while the other half have been nominated by Merton Council. Each identical flat has a net space of 26sqm, and contains a living space that includes a galley kitchen, separate bedroom and en-suite toilet and shower. Y:Cube Mitcham is the first development of its kind for YMCA St Paul’s Group, and was opened in September 2015. 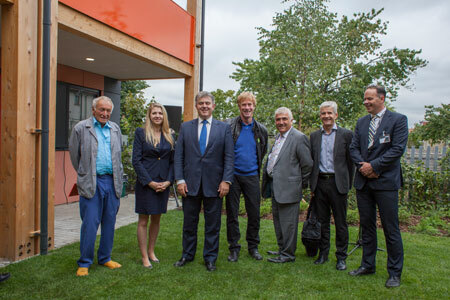 The development was designed by award-winning architects Rogers, Stirk, Harbour & Partners. 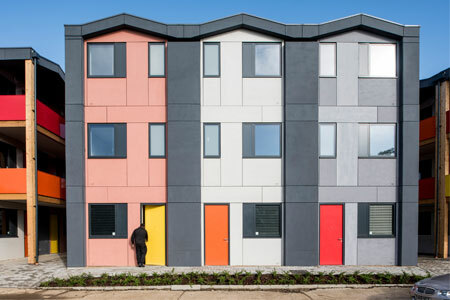 The construction is pioneering in that the Y:Cubes are built using unique off-site technology, and are assembled on-site, making it quicker than traditional builds. The rent is currently set at around 65% of the market rent for a one-bed flat in Merton. All properties are let on an assured short-hold periodic tenancies with the anticipated length of stay being 3 to 5 years. Referral agencies can apply for places at our Mitcham Y:Cube using this form. Y:Cube Mitcham has an on-site housing officer who oversees the tenants and is under the care of YMCA Wimbledon.